For every progressive power lens to fit into a pair of eyeglasses, the frames would require to be of the same size. If a frame is too small, the reading part of the lens may sometimes turn out to be uncomfortably tiny after the lens has been cut to size and fixed into the frame. Today’s lens producers have solved this issue by introducing the “short corridor” progressive lens. This type of lens has a compact design which results in a more significant reading zones for the more fashionable, smaller frames. 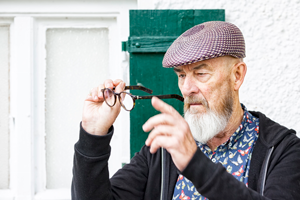 The popular reputation of progressive lenses has exploded in recent years, making progressive lenses very popular and most widely bought lenses for presbyopia correction. Now there are many progressive lens options which are made to suit any practical needs. The distinction in a lens produced, is similar mainly to the width and length of the progressive power corridor. Also, the amount of its devotion to various viewing distances. Different parts of the corridor can be enlarged, relying on the design type of the producer and the primary aim of the lens. Most progressive lenses are specially designed for computer use, and they usually have a much broader intermediate zone. Some progressive lens designs typically possess a more extensive reading area. Your optometrist is in the perfect position to examine the lens style that will be best for you. Progressive lenses are now available in any materials, including glass and regular plastic, high index plastic and polycarbonate materials. They are also available in photochromic lenses which automatically adapt to various lighting conditions. Regardless of the lens material or the design of progressive lens you pick, choosing lenses that have anti-reflective coating usually improve comfort and visual clarity (mostly for activities such as driving at night) and eradicating lens distracting reflections which prevent people from clearly seeing your eyes. When choosing Progressive Lenses, book your consultation with one of our optometrists today, at our 360 Eyecare location in the Beaches, Toronto.